First subway trip: hello again Broadway local! Posted 11:07 am by Rena Anya Devéza & filed under Alexander Technique, torn meniscus. I left my apartment building for the first time since my surgery to go see my orthopedist, the estimable Dr. Z. So…I decided to take the subway down, as his office is right by the subway entrance. To be precise, it was the IRT #1 train…the Broadway local…that I decided to take. The bus is too slow and bumpy. A taxi…nah…fuhgeddaboudit. So…subway it was. I took my cane of course. I need it to go down steps, and also as a warning type weapon, to let people know I’m not to be messed with. I live in between two stations. I decided to head for the uptown stop as it has way less steps down. I was walking so slowly up Broadway that I was walking slower than a tourist! Oy gevalt! Felt pretty good about it, all in all. I kept directing. I managed the steps down pretty well. 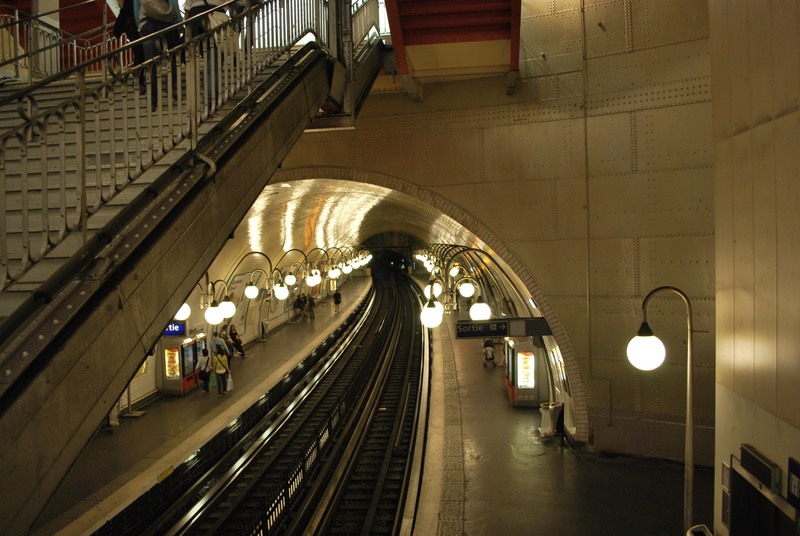 I thought to myself that it was really good that I didn’t have to go down many stairs, like walking down the stairs at the Cité métro stop in Paris. I can’t remember if there is an elevator in that station, as taking an elevator there had never been necessary. Well…back to NYC: waited for the train. The train came. It was the end of rush hour and the train had been delayed (so what else is new?) so the train was packed. I got myself into the car. I kept my cane in front of my leg as a “do not come near my knee or else” signal. At the next stop a bunch of people got off so I made it into the middle of the car. Miracle of miracles, a young woman got up to gave me her seat. Not the young men near her. Hmmm…just staying. I sat down, lengthened, widened, went through my whole litany. Cool, right? Told myself to free up my neck. Took out my phone to check something and was careful to bring it up to my face so I didn’t hunch down looking at it. But then some guy carrying a huge duffel bag filled with heavy stuff bumped right into the cane held against my knee. Ouch ouch ouch!!! Figured that something like that would happen. He told me that I could sleep on my stomach, take a bath, wear little heels as soon as I could! Wowie! I’m psyched! Oops! Not the IRT at all! Wrong city! And then I was back on the subway again, this time going home, feeling so much better psychologically for having seen him. Hey! Maybe I can have an AT lesson soon!